The ROKU System F Fire Protection Putty is used for sealing construction joints for cable & pipe insulation in solid walls, lightweight partitions and solid ceilings. The system has a fire resistance rating of up to 240 minutes. 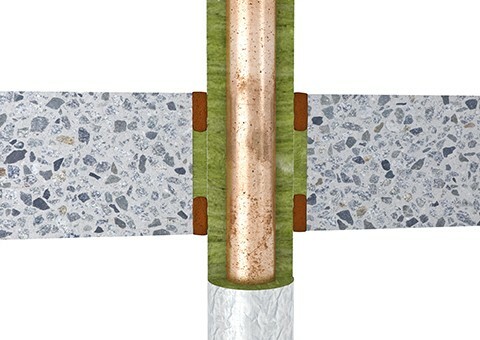 Sealing of connecting joints in buildings, lightweight partition walls and solid structures. Sealing single cables of up to21mm diameter. Technical data including ETA available.